“Luke Cage: The Complete First Season” (2017, Buena Vista Home Entertainment) If you grew up in the 1970s, you knew Luke Cage as Power Man, the first African-American superhero with his own comic book series. 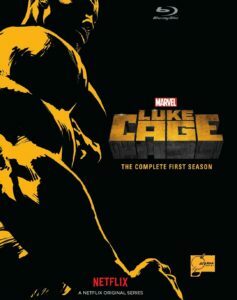 Though possessed of superhuman strength and invulnerability (and a pretty groovy costume), Cage/Power Man never enjoyed the same following as other Marvel heroes – even his longtime partner, Iron First outshone him – but a 1992 revival of the title put him back on the map, and this series – part of the Marvel Cinematic Universe‘s quintet on Netflix – gives Cage an impressive showcase. As Cage, Mike Colter, who originated the role on “Jessica Jones,” certainly fits the bill in terms of physicality and confidence, and he’s well matched by Simone Missick and Rosario Dawson as fellow do-gooders and Oscar winner Mahershala Ali, Erik LaRay Harvey and especially Alfre Woodard as their opposite, supervillainous number (all culled from the Marvel stable). Creator Cheo Hodari Coker has also injected a layer of social commentary between the smash-ups, addressing the notion of an indestructible black superhero in a Black Lives Matter world, but the application here is both judicious and shrewd. All thirteen episodes of the first season are included on the single-disc release, which also includes a roundtable conversation about the production with Colter, Woodard and others. 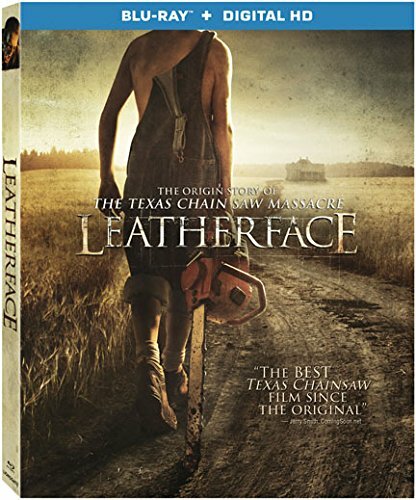 “Leatherface” (2017, Lionsgate) Umpteenth take on the late, great Tobe Hooper‘s groundbreaking “Texas Chain Saw Massacre” again attempts to graft motive and backstory onto that picture’s disorienting nightmare logic; here, directors Julien Maury and Alexandra Bustillo (the unpleasant “Inside”) play How to Make a Monster in detailing the abuse and degradation necessary to turn a backwoods teenager into a saw-wielding but somehow sympathetic maniac. At this point, “Chain Saw” devotees are probably divided into two camps: those that see the need for another spin-off/revamp, and those that wish the film’s legacy was left alone. For the former camp, “Leatherface” distinguishes itself through the casting of Lili Taylor as Leatherface’s mother and Stephen Dorff as a sheriff obsessed with his family; the latter demographic won’t find anything new here, and little that can match the hammer blow delivered by the original film. Lionsgate’s Blu-ray offers a making-of featurette and six deleted scenes, including an alternate ending. 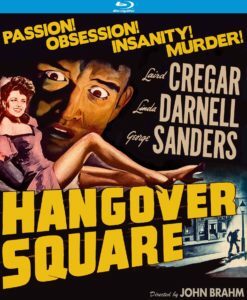 “Hangover Square” (1945, Kino Lorber) Melancholy composer Laird Cregar is driven to fits of madness by the stress and noise of turn-of-the-century London (a situation that many urban viewers may find sympathetic), during which he commits an array of heinous crimes. 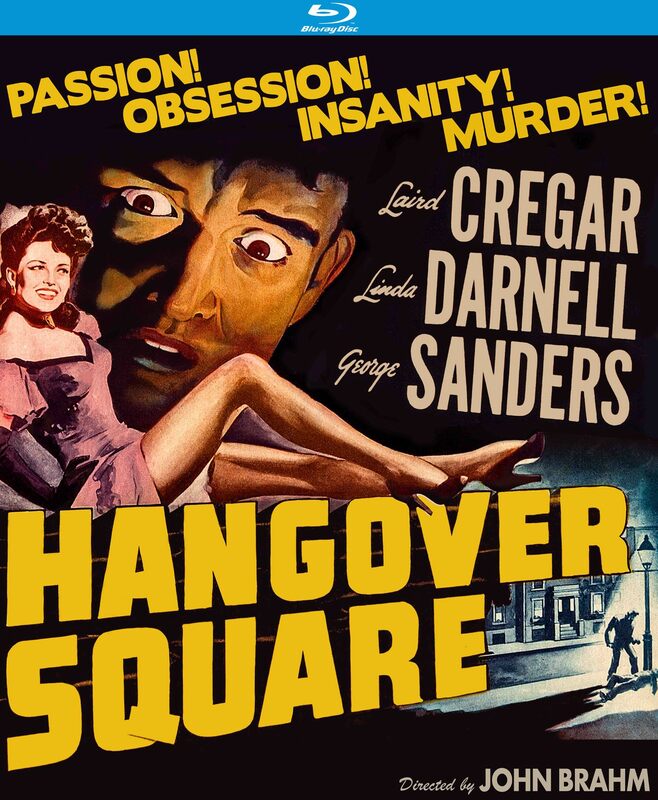 On the advice of urbane doctor George Sanders, he seeks relief among the common folk, but instead finds distraction in the form of scheming singer Linda Darnell, who exploits Cregar’s talents for her own ends, unaware that by adding to his anxiety, she puts her own life in danger. Ripe blend of Gothic thriller and psychological drama reunites Cregar, Sanders and director John Brahm, who previously teamed for “The Lodger”; Bramh and cinematographer Joseph La Shelle, lend polish to the proceedings, as well as some decidedly macabre elements (the disposal of a victim in a Guy Fawkes Day bonfire), but as with “Lodger,” Cregar is the film’s most memorable element. Gripped alternately by mortal terror and a monstrous rage, the actor, who died shortly after the film was completed, lends a terrible, tragic vulnerability to the film, especially in its fiery climax. Kino’s Blu-ray ports over most of the extras from a 2007 DVD release, including commentary by Steve Haberman and actress Faye Marlowe (who plays Cregar’s girlfriend), a documentary on Cregar’s brief career and a radio adaptation with Vincent Price in the Cregar role. “Deathdream” (1972, Blue Underground) Unsettling film which grafts W.W. Jacobs’ “The Monkey’s Paw” onto an suburban American setting and examines the national unease about the Vietnam War, and in particular, its impact on returning soldiers through a pulp-horror filter; here, as in the story, a husband and wife (John Marley of “The Godfather” and Lynn Carlin) discover that their wish for their son’s return from the war has brought back something nightmarish. Though director/co-producer Bob Clark is probably best known (especially during the holidays) for “A Christmas Story,” he began his career in low-budget horror, and his efforts in that field – “Black Christmas, “Children Shouldn’t Play with Dead Things,” “Deranged” and this film – stand out for the depth and darkness of their subject matter and their attention to character and story. 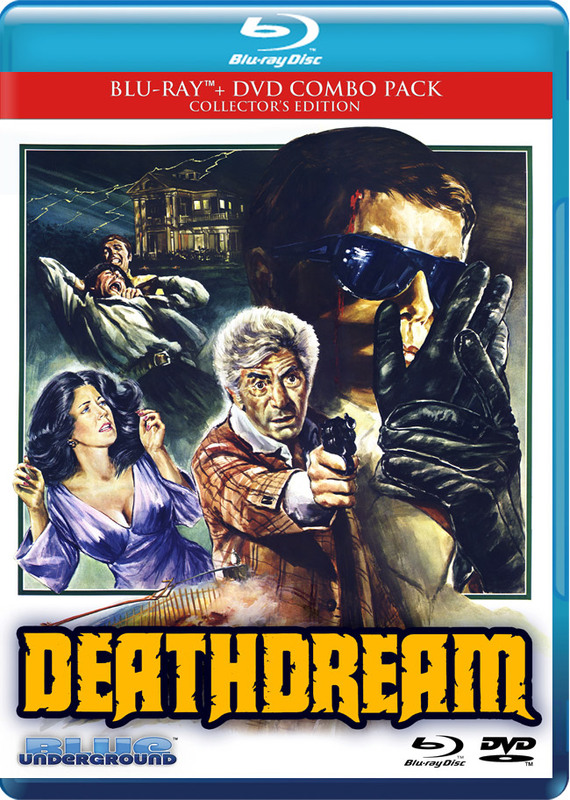 The gruesome elements in “Deathdream” are unnerving, but it’s the impact of the son’s return on Marley and Carlin (who previously appeared together in John Cassavetes’ “Faces”) and their faith in family and other American institutions that has the greatest impact. Blue Underground’s DVD/Blu-ray set includes commentary by the late Clark and writer/make-up artist Alan Ormsby, an interview with Tom Savini, who contributed to Clark’s horror titles, and interviews with the cast and crew, including actor Richard Backus, who plays the returning son. “Night School” (1981, Warner Archives Collection) Someone is lopping the heads off female students taking night classes at a college in Boston, and as detective Leonard Mann sees it, all signs point to caddish anthropology professor Drew Snyder as the primary suspect. But the path to the killer’s identity is far less cut and dry – and much more absurd – than expected, as this amusingly threadbare slasher film reveals. Director Ken Hughes (“Chitty Chitty Bang Bang”) and writer/producer Ruth Avegnon aim for dark and stylish a la Italian gialli, but find greater success at detailing the various ways in which a person’s severed head can end up in a body of water (including fish tank, soup pot and yes, toilet). As a result, “Night School” is probably best appreciated as a grisly goof, a glimpse at an early career effort from second-billed star Rachel Ward (“Against All Odds”) or by ’80s stalk-and-stab completists seeking to check off every movie on the UK’s “video nasty” list. Warner Archives Blu-ray includes the original trailer. And finally, if you’re like our current administration and believe that the best solution to any conflict is absolute mayhem, may I recommend a trio of multi-disc releases from Arrow Video, all of which feature Japanese crime films? Each set offers its own unique perspective on the strange and stylish yakuza subgenre: “Outlaw Gangster VIP” (1968-1969) is a six-film set (on three discs) devoted to the blood-soaked career of a doomstruck assassin (played by Tetusya Watari) that adheres to the darkly romantic work of ’60s-era crime titles by its producing studio, Nikkatsu (as seen in another Arrow set, “Nikkatsu Diamond Guys“), while the three-disc “New Battles Without Honor or Humanity” (1975-1976) is a continuation of director Kinji Fukusaku‘s quintet of brutal and elaborately plotted gangster films, with cult favorite Bunta Suguwara playing another trio of cool and cruel killers. 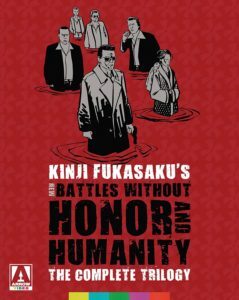 And for those that favor total cinematic anarchy, there’s Takashi Miike’s “Dead or Alive Trilogy” (1999-2002), which showcase the director’s caffeinated aesthetic taken to its most extreme in a trio of films (on two discs) that, like his “Black Society” trilogy, are largely unrelated but feature actors Show Aikawa and Riki Takeuich as various underworld figures who bend to no rules – even the laws of nature – in their pursuit of delivering utter chaos. Each set is appointed with extras, including commentary and liner notes by historians like Jasper Shar, Chris D, Tom Mes and others. 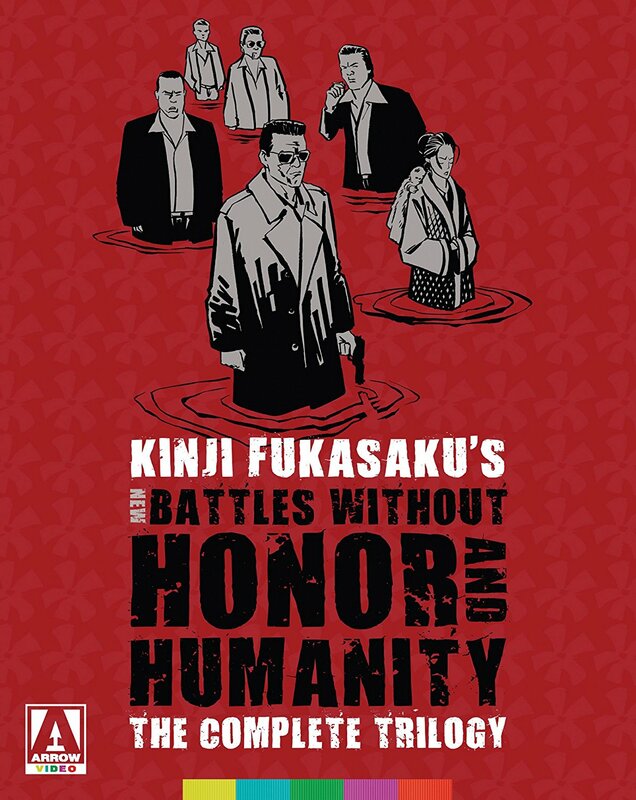 This entry was posted in Movies and tagged Arrow Video, Blue Underground, Buena Vista Home Entertainment, Kino Lorber, Lionsgate, Marvel, Warner Archives Collection. Bookmark the permalink.